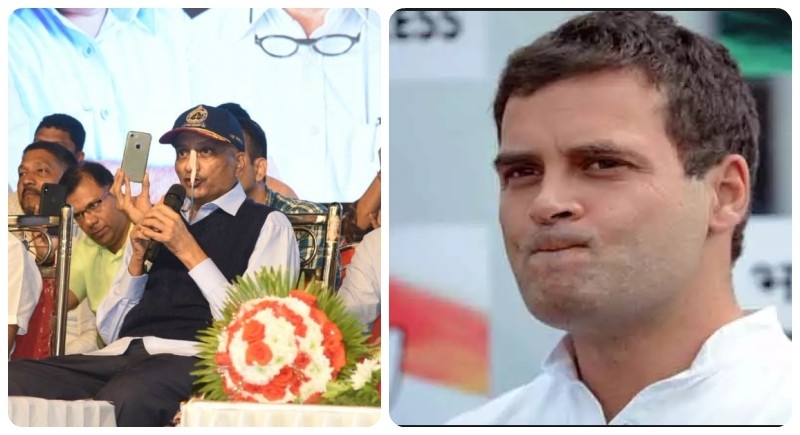 Panaji, January 30: Goa Chief Minister Manohar Parrikar was shocked by hearing the news that Congress chief Rahul Gandhi used his surprise visit to enquire about the health conditions of CM Parrikar into a dirty petty politics. CM Parrikar wrote a letter, saying he is misusing the five minutes that Gandhi spent with him on Tuesday. CM Parrikar wrote a letter to Gandhi saying, "I feel let down that you have used this visit for your petty political gains. In the 5 minutes you spent with me, neither did you mention anything about Rafale, now did we discuss anything related to it." 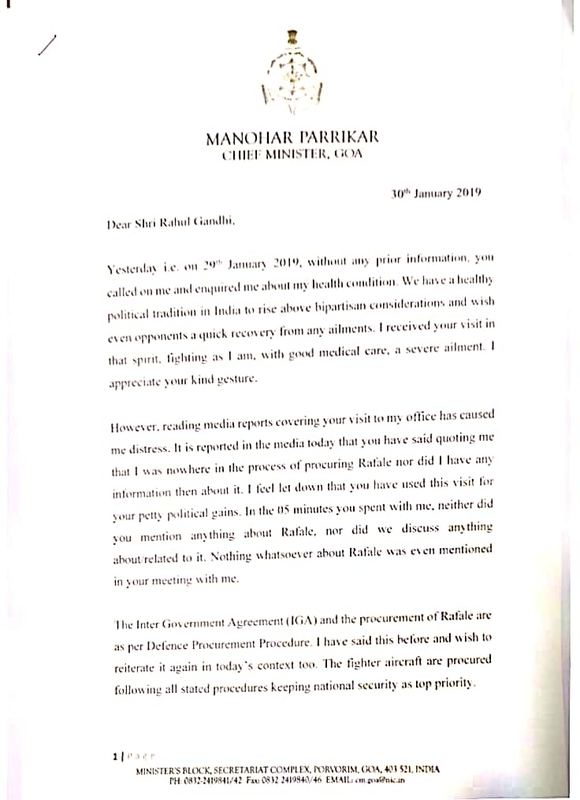 This comes hours after Rahul Gandhi alleged on Wednesday that Parrikar told him during their brief meeting that he was kept in the dark by PM Modi about the changes being introduced in the Rafale deal. It is nothing but a shameless deed because if you go meet an ailing person one should have that much courtesy that you should be kind enough. Gandhi pretended to be kind and CM Parrikar genuinely thought as well that this a kind gesture from Gandhi’s side but there is a saying that a mirror shines from the front side but the backside always remains black, thats what Rahul Gandhi did. "Friends, the ex-defence minister Mr Parrikar clearly stated that he has nothing to do with the new deal that was orchestrated by Mr Narendra Modi to benefit Anil Ambani," the Congress leader told a booth-level party workers meeting in Delhi. This is not the first time that Gandhi has shown his mindless behaviour Atal Bihari Vajpayee’s demise led the entire country disheartened. All eyes were wet and people couldn’t believe that their beloved politician was no more. In the midst of all the wet eyes, there was someone who couldn’t stop smiling, When every soul felt shattered, the President’ of Congress could not contain his laughter. When the final rites of Atal Ji were being performed at the Smriti Sthal and the great leader was being given the 21 gun salute, every body present there, including PM Modi and President Kovind stood with a broken heart, Rahul Gandhi could be seen smiling at such a sad moment.